"Great experience at Image Honda!" 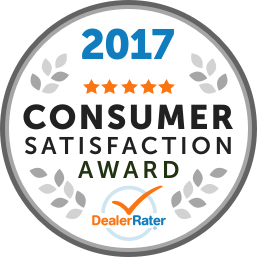 The level of service at image Honda was excellent from Josh and Sumar. I bought a 2014 Ford Fusion and Sumar was very attentive and made my experience very enjoyable. I would absolutely return. Great job! "Zero respect for customers. Zero class "
Staff was farting in showroom during new car pickup. I asked if they were ‘okay’ they said they were ‘having fun’ . The place is inhumane. Other Employees : The employee’s name isn’t listed. Drove in from Toronto to test drive 2013 Honda Accord with manual transmission. I was running late and missed my appointment by 30 minutes, and rep was more than accommodating. On the test drive, he even allowed me to circle the car twice while opening it up on the highway. Generally, this doesn't happen; everyone is too concerned that you may strip the clutch, or wrap a tree. The car was immaculate. Also, appreciated the honesty that they'd prefer that I'd finance. Finance Manager was on point, clear, and concise. Never understood why prospective buyers rip sales or dealership management over margin. There's not as much wiggle room as one may think. On delivery, I received a thorough rundown of the car's options. I'm a former Mercedes Benz owner. Two dealerships actually tried a bait-n-switch on vehicles, and if you're not a perpetual customer, you're treated like an underprivileged citizen. I cannot say enough good about the new Image staff. They were very welcoming to me; cannot speak to anyone else. 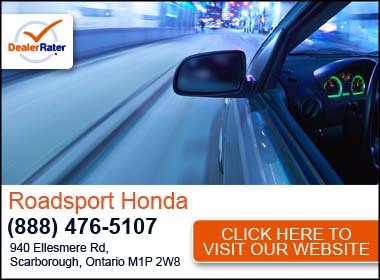 "Awful customer service, unprofessional and rude "
I am extremely upset after a recent experience I had at the Image Honda hamilton location. A MONTH AGO, I saw a post on the website for a car that had just been listed. A Chevy Sonic. I called the dealership right away and was told the vehicle was there to view. So I drove all the way there the same day (30minute drive) and was told the vehicle was away at detailing. I sat down and gave my information to a sales rep who assured me he would contact me ASAP once the car was available and that he would have the detailers speed up the process. A few days went by and I didn’t hear back yet, so I called. I was told nobody knew where the car was, so I informed them that i was told it was in detailing. They once again took down my information, and assured me they would contact me once it was available which would be in 2-3 days. 3 days went by and I called again to follow up. Again, was told it would be ready in a week and I would be contacted once ready. AFTER TWO WEEKS OF WAITING to hear back from someone and waiting to view this car, I checked the website and noticed the photos were all updated which means the car was back at the dealership and I had not heard back from anyone letting me know as we had discussed they would. Nobody had called or emailed me. Nobody had let me know it was available. What exactly had I been waiting OVER TWO WEEKS FOR? Why did I give out all of my information several times, even called the wrong name when I corrected them a few times and they just kept ignoring me, when the car was there and I was not being informed of this? I decided to go in and view the car. Once again I had a new sales rep, who took down all of my information and had me fill out paperwork. I took the car for a test drive with him, and the car had one bar of gas left and it was blinking, so the sales rep informed me that I wouldn’t be able to do the full test drive and would have to go back to the dealership. What a waste of my time. Why are cars not checked before they are sent out for a test drive? How is this safe or acceptable? I then sat down with this sales rep and I made an offer. He informed me he would speak to his manger and call me back right away to let me know if it was accepted. FIVE DAYS WENT BY WITH NO PHONE CALL! I tried calling his number and and leaving voicemails and kept being ignored. Once again. That’s all this dealership knows how to do... ignore its customers! Even though I placed an offer, I was still treated like xxxx. Unacceptable and disgusting of them!! Is this a way to keep customers? Is this a way to run a business? I’m beyond upset and frustrated! Why keep a potential customer waiting for so long and have such an unorganized business with employees who do not follow up or keep their word? For all of this hassle and frustration, I should be offered a discount on the vehicle! Beyond unacceptable. Booked BService for July 19 @ 11:40 for 2016 HRV. Arrived 11:30 and entrusted vehicle to service manager who took my mobile no. and said he would call me when vehicle ready for pickup (allow 2 hrs). No call. Went to waiting room at 1:30 and waited until 2pm,, still no communication. Went to enquire re car and told the rear brake rotors needed work (at 35,000 km)...an additional 1 - 1.5 hrs.. Had to leave vehicle overnight and return for oickup next day. No explanation of work done just paid $552.26 for service,handed keys and done. Called Honda Canada to discover that my brake service was under warranty and yet Image Honda had charged me $149.95 for "machine rotor rear brake rotors" and $114.95 for wheel alignment. Their excuse was that the service advisor was only 4 days on the job. And to add insult to injury, the service manager was leaving for the weekend on Fri.afternoon and he would reimburse me after the weekend.. I'm not impressed with the service at Image Honda and would be loathe to purchase from this dealership again given their shabby service which leaves me skeptical and certainly not valued as a customer. "Playing words to get top money for their service"
I bught bring new Honda Civic back to 2016. Never had air conditioning. It was checked by another Honda dealer and Image Honda back to 2016. Both of them said the stone hit condenser cause air conditioning malfunction. It is not covered by warranty. Recently I got condenser replaced by another auto shop and in hoping them to fill up freon. They charge $150 to check if the replaced condenser is ok, another $150 for fill up freon. On top of tax is $345. I was not happy for the charge and was going to talk to their manager. So the lady with short hair by the end of the shop gave a quote for $150+tax for checking and fill combined. If it is leak, I will pay that amount and not filling; if there is a leak, they will fill it. I thought it is a good deal, so I booked an appointment the next day. After I drove in, the same lady point me to another person who claimed as a manager. She also quietly said she hasn't only quoted for checking, whick is a lie. He over turned the previous deal for the doubled price and even more. he also said it cost $1200 to fix the condenser. Just to be clear that I had never had aircondition since I bought the car. Each time their service person told me the story of someone just drove out of shop with his brand new car and stone hit the condenser right away. I believe Image Honda doesn't take care of their customers. They are cheap company who plays tactics to only try to ripe off their customers in any way they can. Recently had my new Civic in for first service and new snow tires. Was overcharged from quoted price. Contacted service department on multiple times only to be transferred to a message system that no one reponds to. Emailed still no response? Severe lack of service with no one taking action . Don’t waste your time at this dealer. RIP OFF. I’m a retired Automotive Service Technician and I still got ripped off! To update the Service Manager Ken did call when I was out and I called him back ,left a message to call me back. No call yet. I have been a customer of image Honda since 2006. I was recently involved in a collision and my car was totaled, thus requiring a replacement vehicle. Went to image Honda for a replacement vehicle, the salesman that sold me a previous vehicle was busy. I didn’t have much time to wait around so I asked what was the best deal could I get on a 2017 CRV Touring, the sales manager gave me an amount and inferred that I take or leave and that image Honda did not need my business since they have had a good sales year. I felt hurt because I had been a loyal customer since 2006 and purchased 4 previous vehicles from Image Honda. I took Paola Dube’s advice and went to another Dealer and purchased a 2018 Honda CRV Touring. P.S. I received a better deal. "Worst Honda Dealership for a new purchase, go elsewhere"
Hardball tactics for a repeat customer like myself . Manager blatantly bad at trying extract as much dollars from you. Its like the 80's car buying tactics. They need to upgrade there skill set. Paola needs some schooling. Maybe she had more important people on her mind than repeat customers. I was not a pleasant buying experience, now twice,.. so I went to another dealership, and it was a night and day difference. Image Honda is the place you go if you enjoy a long painful expensive purchase. Service are is a little tired looking, Overall the place is cramped, tired, dirty, could use a paint job in the interior, ceiling air vents are gross. There are much better dealerships within a short drive.